Improve your Infiniti G35's performance by installing the aFe Stage 2 Cold Air Intake. See gains up to 13 hp and 15 lb/ft torque with this easy to install performance modification. The aFe Stage 2 Cold Air Intake adds dramatic power gains to your Infiniti G35. 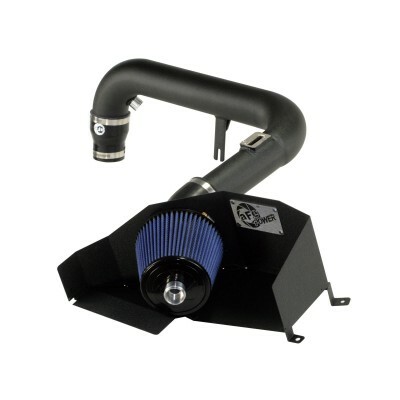 For more efficient airflow to your engine, you need the aFe Stage 2 Cold Air Intake. 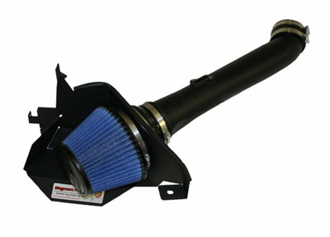 A cold air intake system replaces the OEM air intake system with a more efficient, free flowing intake system. This performance modification is usually one of the first upgrades an enthusiasts makes to their car because of the ease of installation and clear-cut results. The aFe Stage 2 Cold Air Intake was engineered for the Infiniti G35 for maximum performance gains. In fact, the aFe Stage 2 Cold Air Intake outflows the OEM intake by 22% After installing the aFe Stage 2 Cold Air Intake you will see performance gains of 13hp and 15lb/ft torque. The air filter aFe includes with their intake system is made from durable mesh cotton gauze and is washable so you never have to replace your air filter. aFe gives you the choice of using their oiled Pro 5R or oil-less Pro Dry S air filter with the aFe Stage 2 Cold Air Intake.